Directions: Melt margarine and marshmellows on low heat in a saucepan. Mix together chocolate chips (or dates), Wheat, oatmeal, walnuts and rice cereal. Pour melted marshmellow mixture over cereal mixture, stir until thoroughly mixed. Pour and pat mixture into a lightly greased 9x13 pan. Let cool and cut into bars. 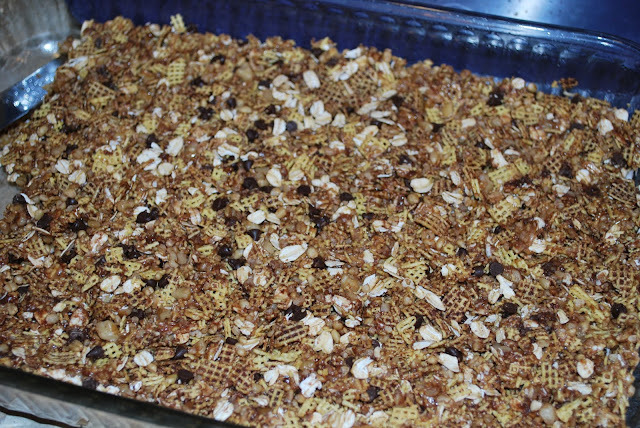 We didn't have puffed wheat cereal (we thought we did when we started making the granola bars, go figure), so we used chex cereal instead. 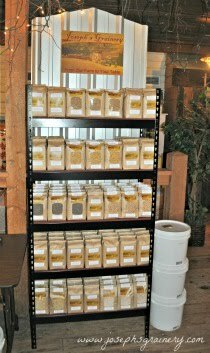 We'd reccomend sticking with the puffed wheat cereal (aka rice krispies), as our granola bars were a little crumbly.